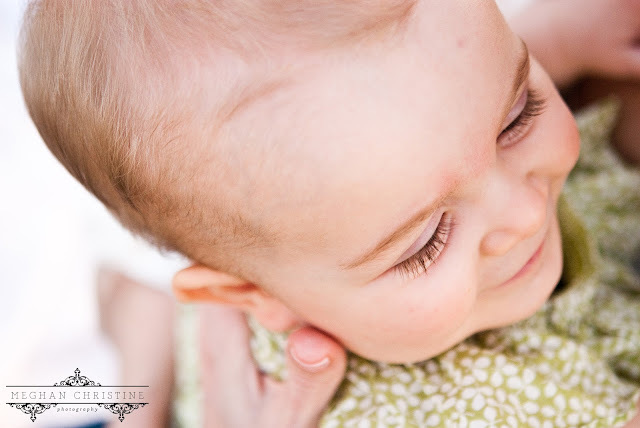 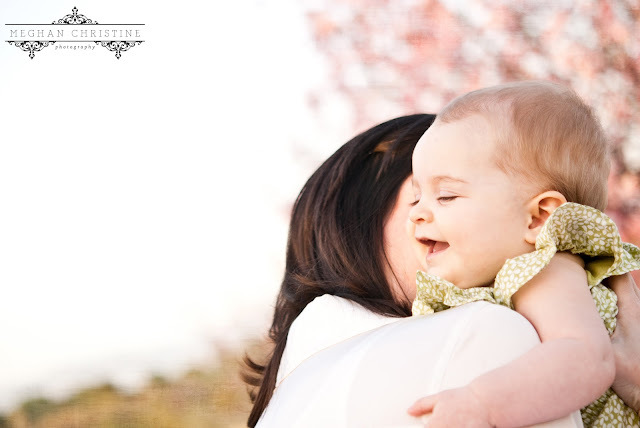 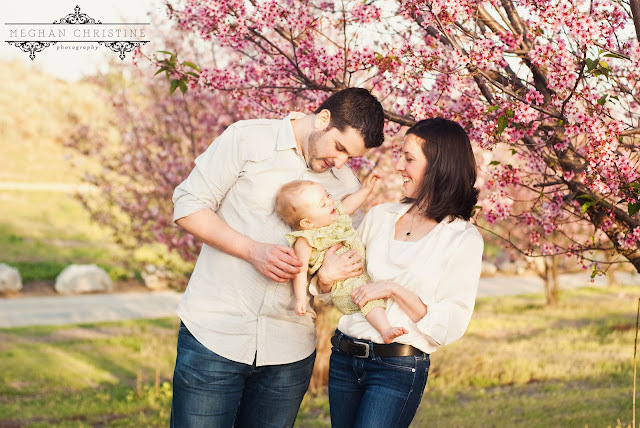 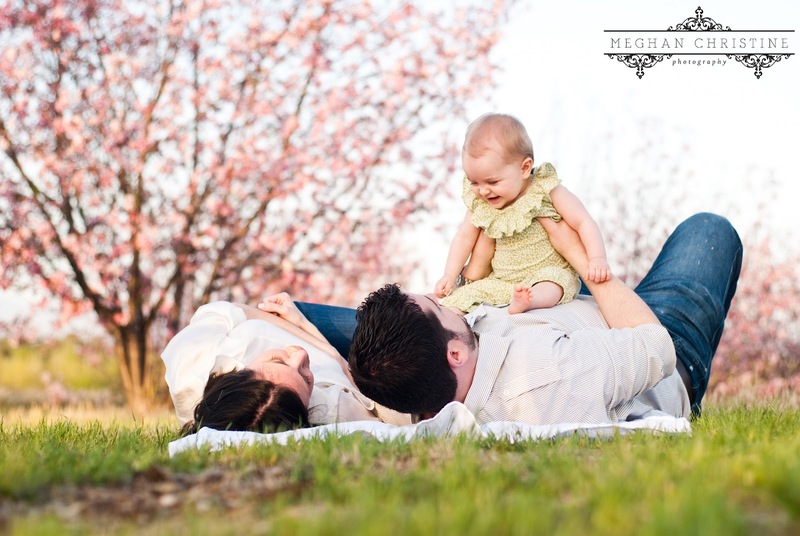 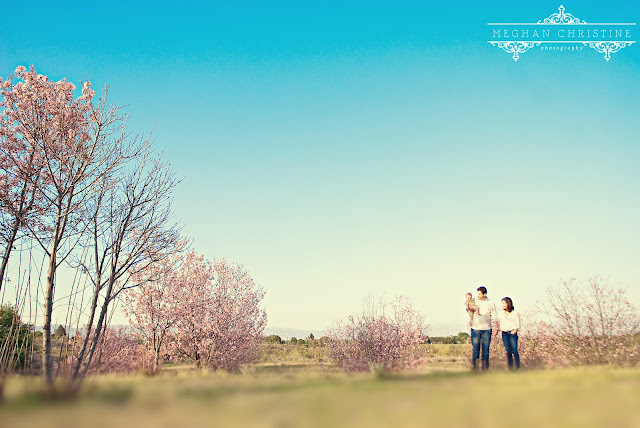 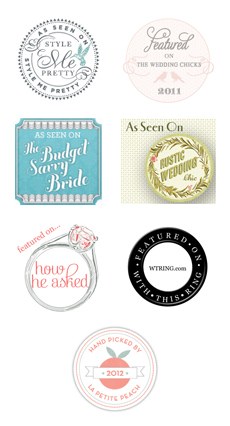 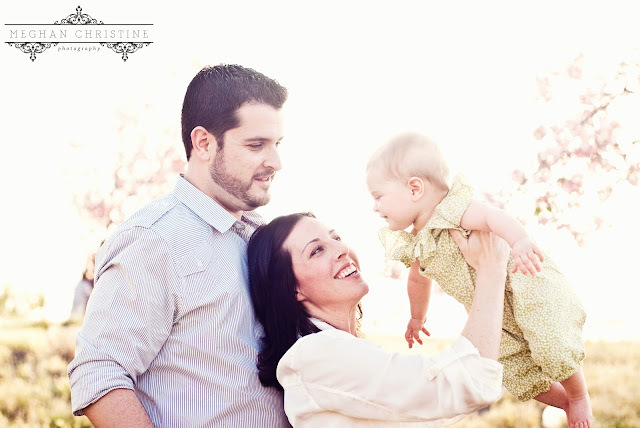 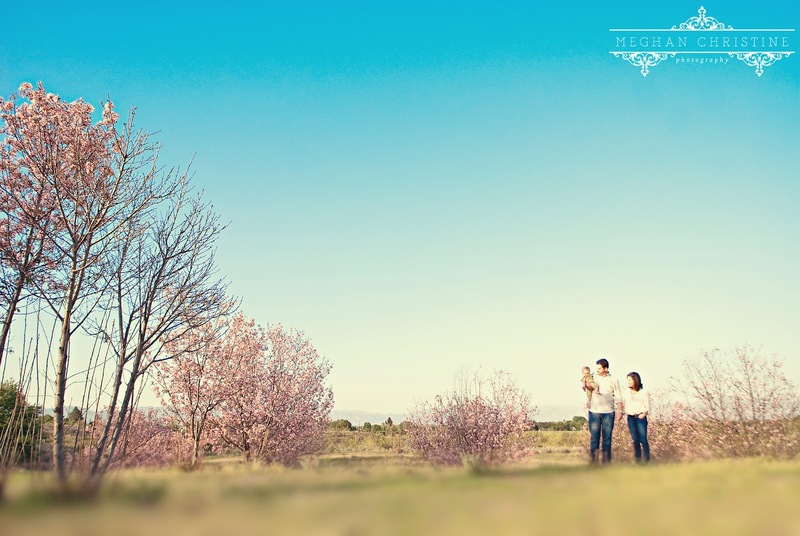 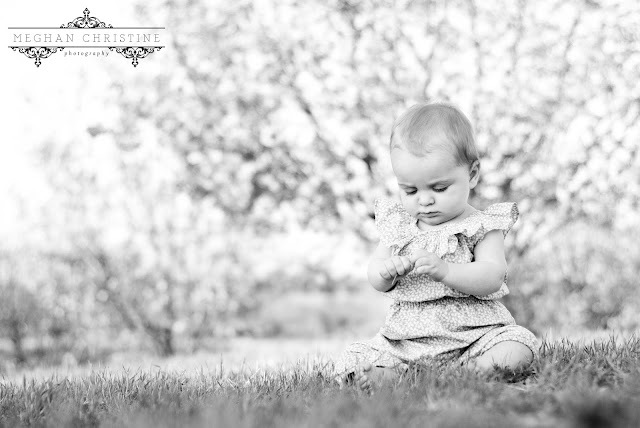 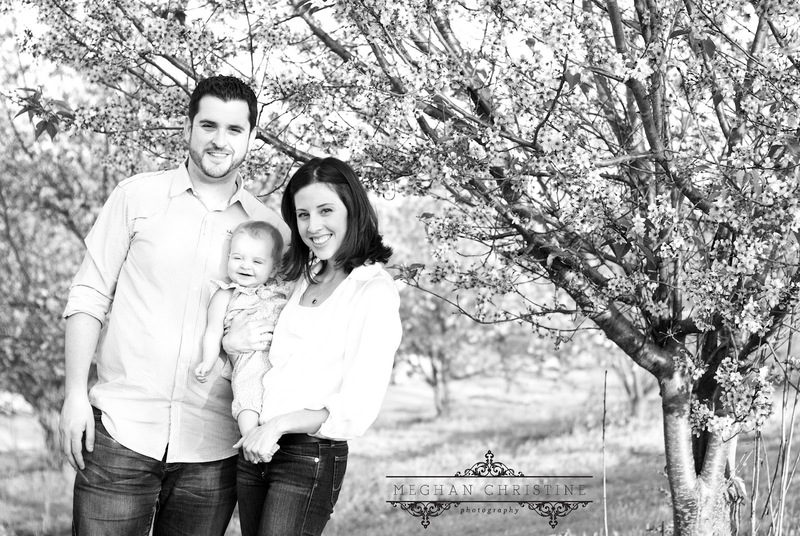 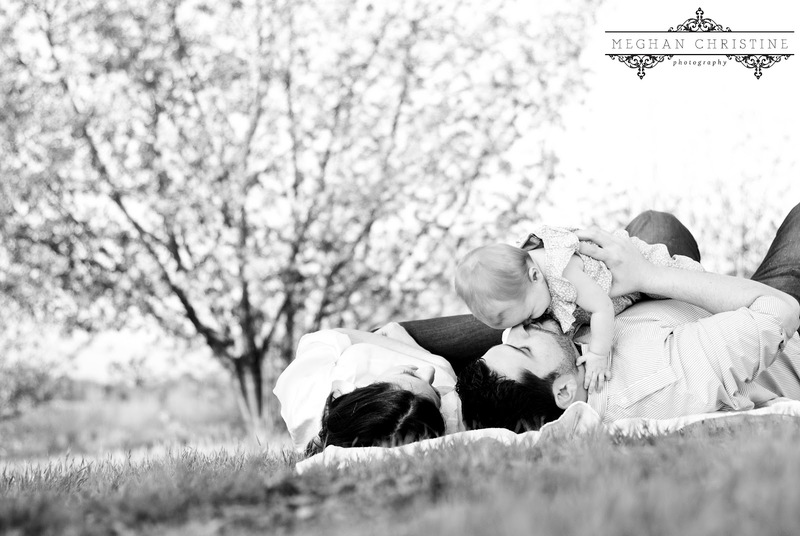 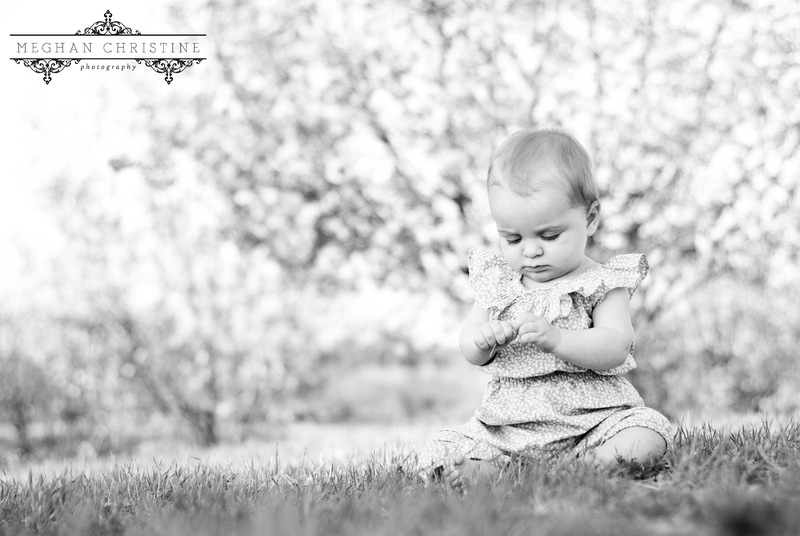 Meghan Christine Photography: Jasper Family: Danny, Beth, and Harper! 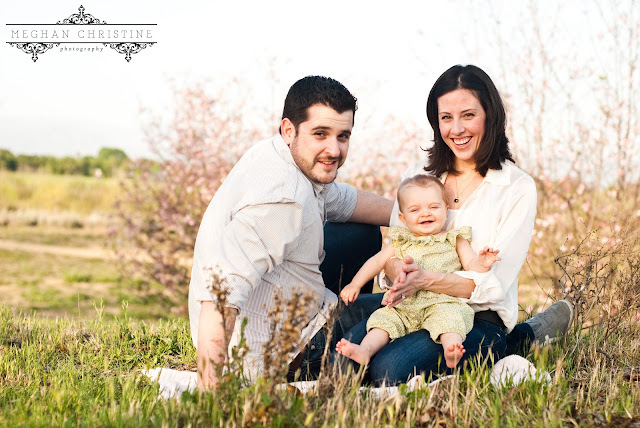 I first met Danny at Prospect Mortgage about 10 months ago... right around the time his wife was about 8 months pregnant. Since this was their first, he was all the more excited to share details as Beth's due date approached. 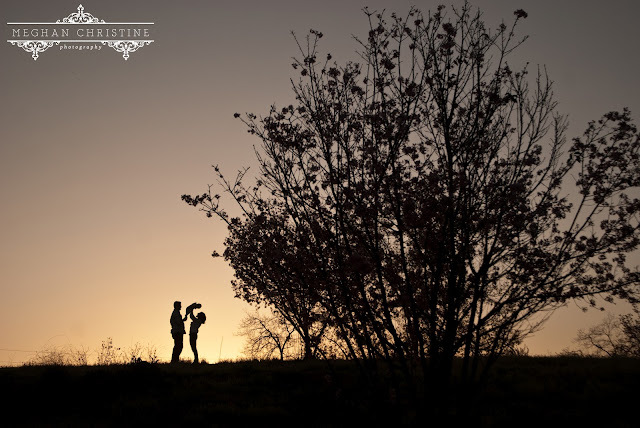 And then finally, the day arrived! 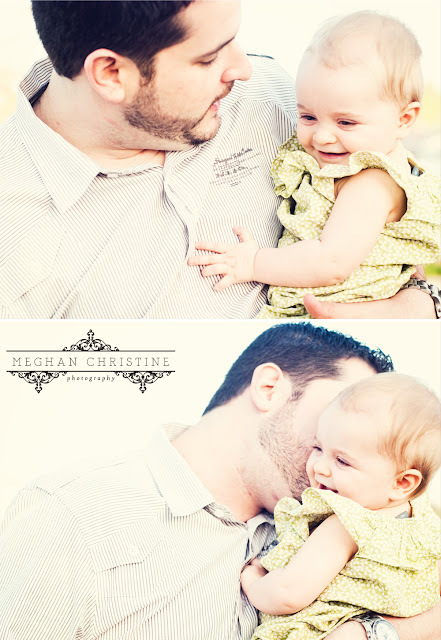 When Danny returned from his time off, we had new cell phone pictures to enjoy everyday as Daddy fell more and more in love with his little Harper! 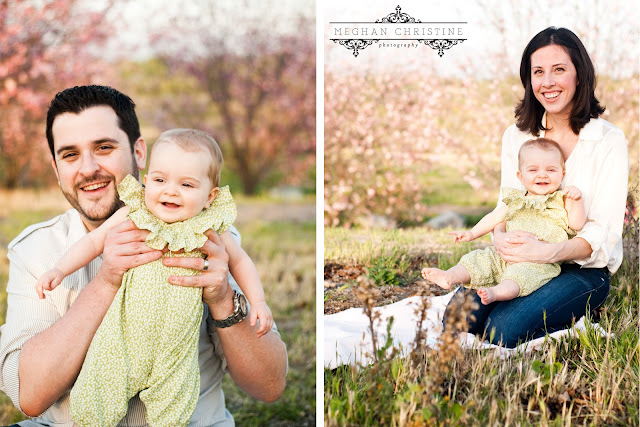 Then, when Harper got to a point where she could sit up, Danny and his wife asked me to do a family shoot, and of course, I said yes! 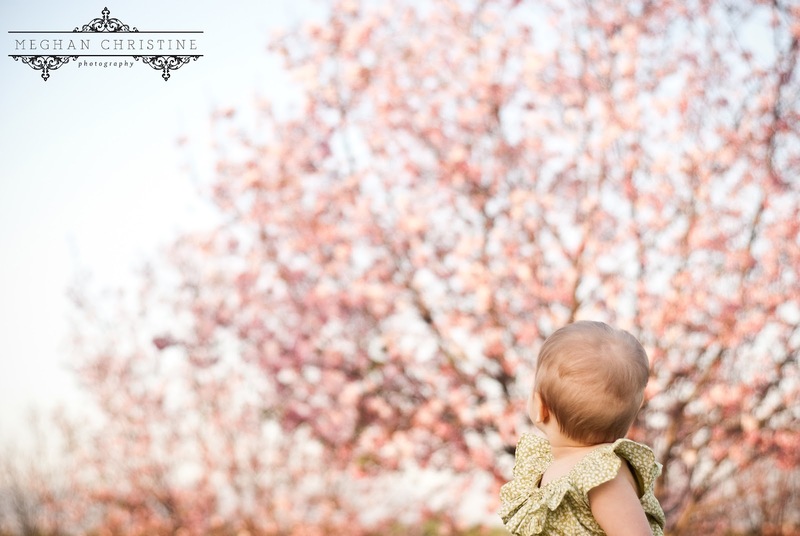 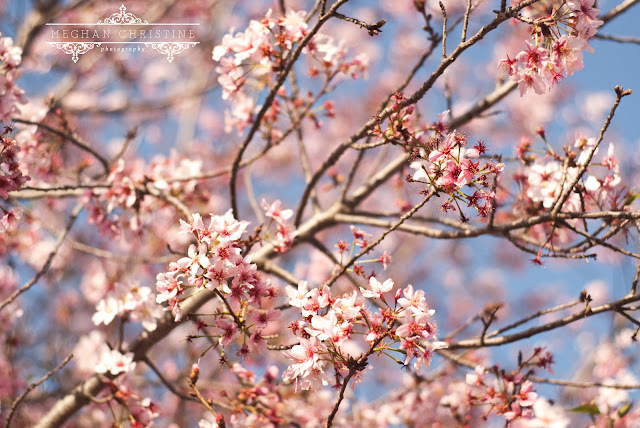 So on Easter Sunday we headed out to Balboa park where the beautiful cherry blossoms were in bloom. 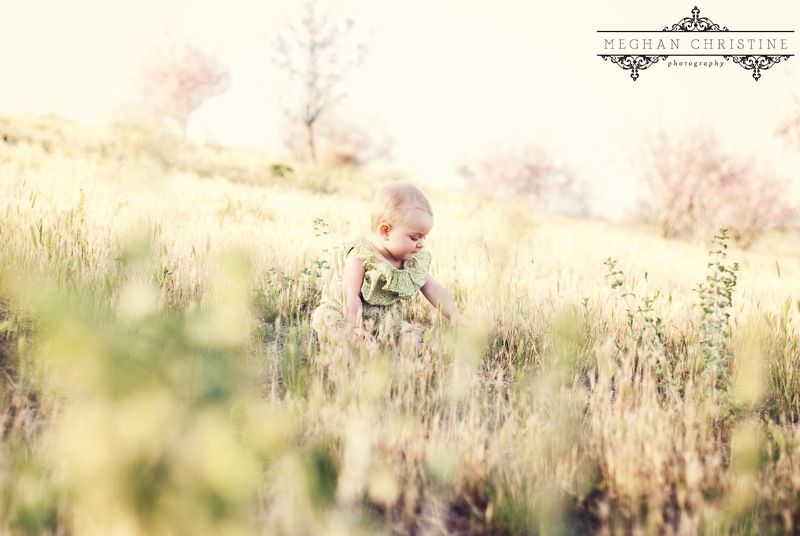 Perfect backdrop for a gorgeous little girl!